Peppa Pig loves spending time with Mummy Pig, Daddy Pig, her little brother George, and all of her greatest friends! We bet your little one loves spending time with them, too. 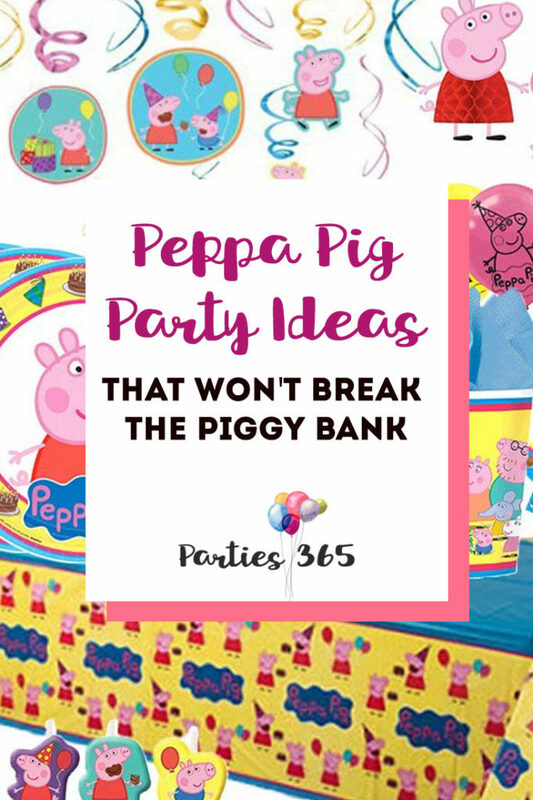 So here’s some inspiration for treating your little one to an unforgettable celebration with an adorable Peppa themed party! 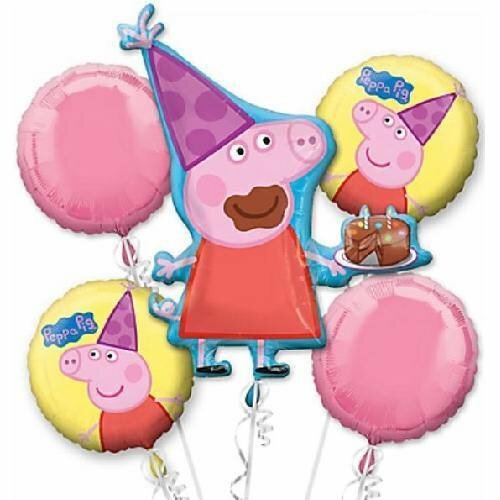 You can get a complete Peppa Pig party set-up with this comprehensive Mega Deluxe Peppa Pig Party Pack that has it all! This done-for-you party in a box comes with everything you need to host 16 little one’s including dinner and dessert plates, cups, napkins, tablecover, tattoos, hanging swirls, honeycomb decorations, candles and balloons – seriously, everything you need! Or you could opt for a slightly smaller pack that covers all the basics with this Peppa Pig Party Value Pack. 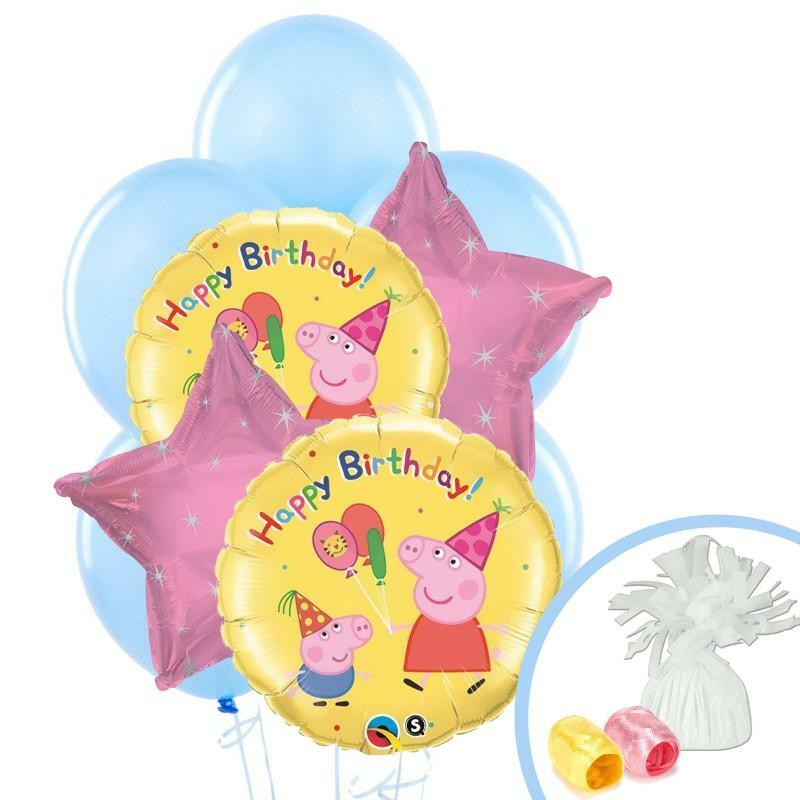 Sky Blue Matte Balloons, Pink Sparkle Star Foil Balloons, 37″ Jumbo Foil Peppa Pig Balloon (or maybe a 48″ Walking Peppa Pig Balloon), pink, white, and yellow crepe paper … pull it all together for a beautifully coordinated color palette and make your Peppa Pig party perfect. Give each guest a Peppa Pig Filled Party Favor Tote Bag or assemble your own with a Peppa Pig Pencil Box and Peppa Sticker Pack! Put one out for each child on the table or send home some fun with each child as they are leaving – it’s the ideal way to say, “thank you” for celebrating the birthday kid’s big day! There are so many great ways to make this the best Peppa Pig Party EVER for your little one! We hope this inspired you to create a memorable celebration for your family! Now…Peppa Pig Party on! what are the prices and how can I order? and do you deliver to the UAE? what’s the charges?